We would like to cordially invite you to the Musikmesse trade fair for musical instruments and music production, taking place in Frankfurt am Main between the dates April 2 and April 5, 2019, of which PETROF has been a part of for many years as an exhibitor. Musikmesse, Europe’s biggest trade fair for the music industry, should not escape the attention of any professional, semi-professional or amateur musician and music fan. In these 4 days, more than 1,800 exhibitors will present themselves at the fair, from a wide range of manufacturers of musical instruments and music equipment. Every year, more than 90,000 visitors from more than 150 countries attend the fair. PETROF will showcase, among others, all three of its anniversary instruments that celebrate the company’s 155th anniversary - pianos Tiger Woods and Walnut Root, as well as the grand piano Stingray decorated with pieces of a stingray leather, which is considered to be the highlight of this year’s PETROF stand at the fair. Stingray is in fact a completely unique instruments - it is the only instrument of its kind. 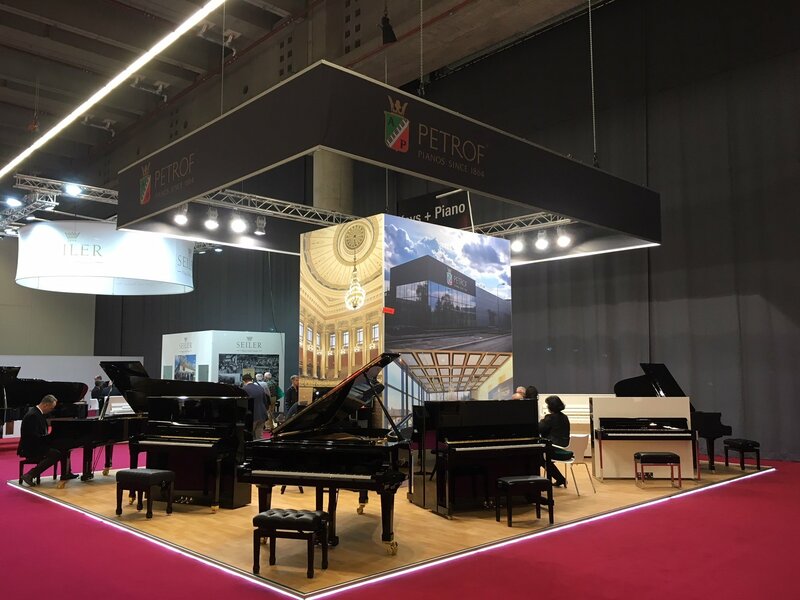 The PETROF stand can be found in Hall 3.0, stand B87.